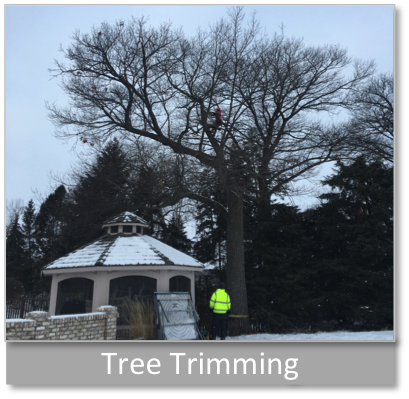 Dvorak Tree Service is a full service tree care company that has been serving the Lake Minnetonka Area since 2001. We help you maintain the beauty of your property and increase its value. See our services below. When tree removal is needed, our equipment allows us to work safely and efficiently. Experienced climbers do the job right and protect your property. When completed we leave your yard in the best condition possible. Provide structural stability and maintain the safety and aesthetics of your trees. Remove dead, weak or diseased limbs to improve the health and structure of the tree. 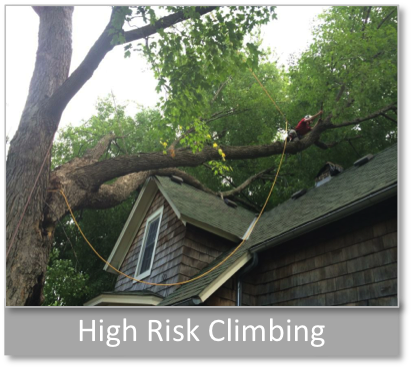 For your safety our experienced climbers will remove diseased, weak or broken limbs over homes, driveways, sidewalks or other high traffic areas. 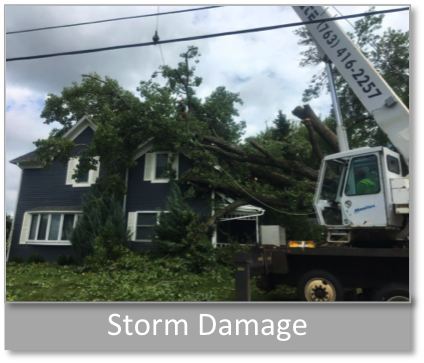 Wind storms, lightning strikes and heavy rains or snow can be disastrous for your home and property. We’ll work with you and your insurance company to clean up the damage so your life can get back to normal quickly. 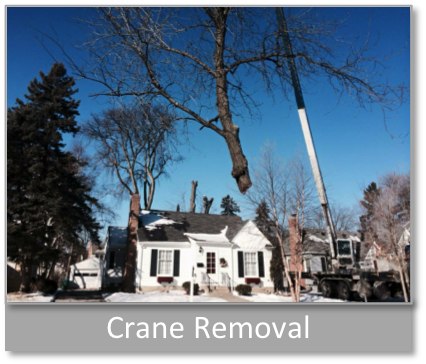 Crane removals are often used when trees are too close to the home. 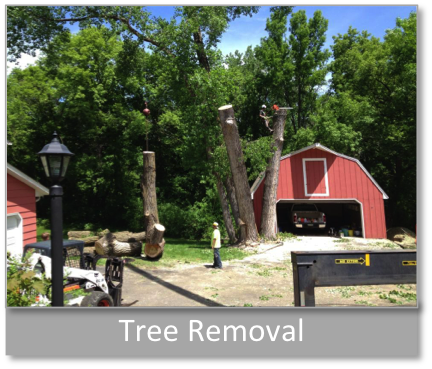 Using a crane to remove trees is safer and does less harm to lawns. 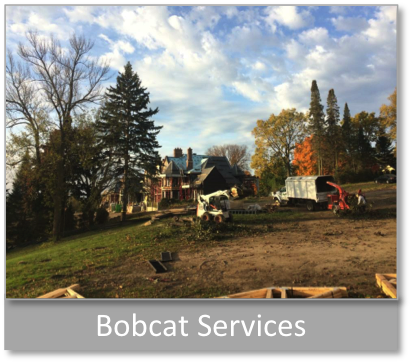 If your building on a new property or just want to improve your views, Dvorak Tree Service has the equipment and crew to clear your lot fast. 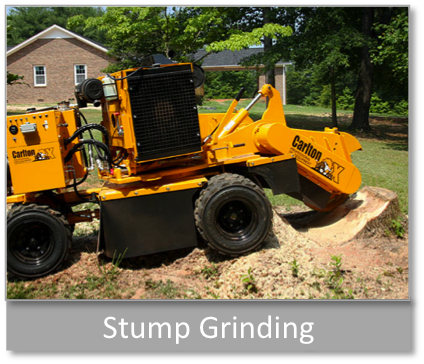 Stump grinding is the most efficient method of removing stumps. Wood chips can be used around the yard or hauled away. If requested we can bring in black dirt and sod to get your lawn back in shape fast. Replace old timber walls or create new flat areas for your yard with boulders. 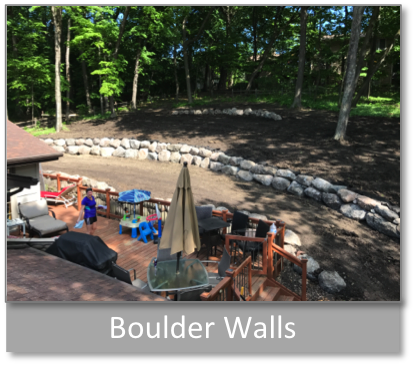 Based on numerous requests from our clients, we've been building great looking affordable boulder walls for 15 years. 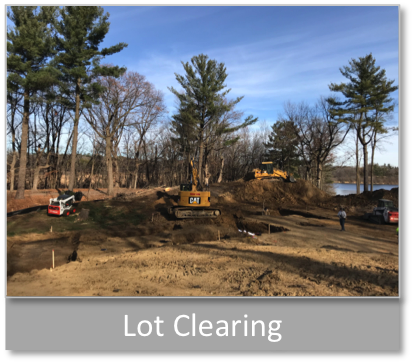 We provide residential and commercial excavation, demolition and landscaping services including concrete/asphalt removal, deck/fence/patio removal, pool removal, top soil delivery and landscaping materials. Serving Lake Minnetonka including Eden Prairie, Hopkins, Orono, Mound, Excelsior, Shorewood, Chanhassen, Chaska, Minnetrista, Victoria, Waconia, St. Bonifacius, Wayzata. Copyright © 2018 Dvorak Tree Service, LLC all rights reserved.